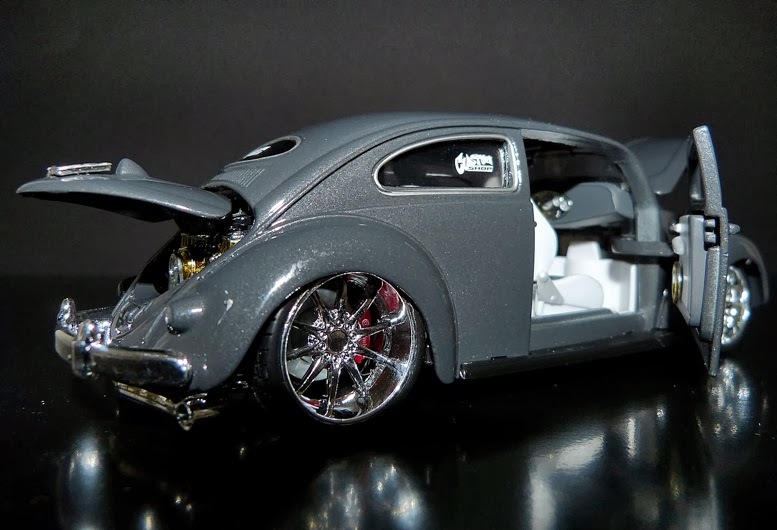 Scale Model News: A TALE OF TWO BEETLE KITS: WOULD YOU LIKE TO BUILD ONE IN PLASTIC OR METAL? 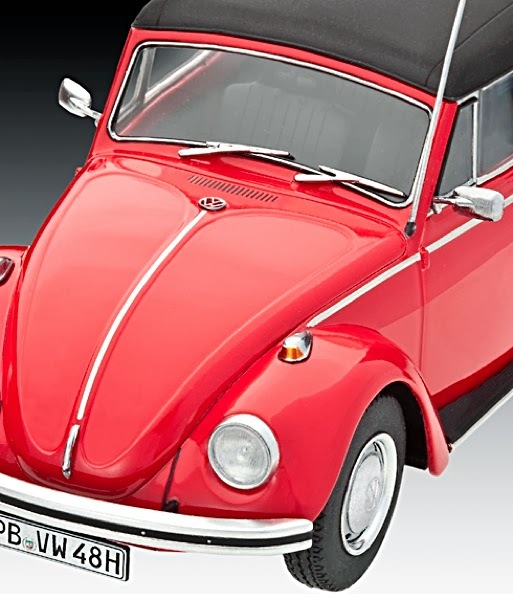 For purist model makers, the Revell VW Beetle kit is definitely the one to go for, as it has finely moulded detail, and plenty of crisply formed components, resulting in an excellent desktop model. The kit is a well-engineered one, with little in the way of fit and finish problems - in fact, the 122 components go together very well indeed; it’s almost a pity that you need to use cement to attach everything together, especially bearing in mind the quartet of vehicles in the excellent snap-tight Revell easykit range. Revell’s feature list is reasonably comprehensive, though it has to be said there’s little in the way of moveable excitement here. It’s a scale model and that’s about it. So how does the Maisto metal kit stack up? Very well indeed, if what you want is something that has a bit of fun, and is tough enough to take almost unlimited abuse. 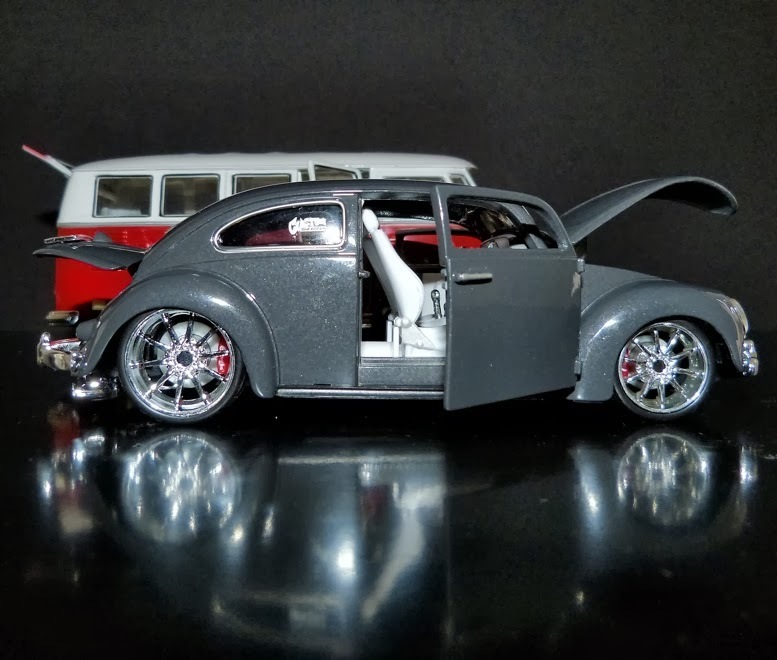 The detail certainly has nothing like the crisp, delicate touch of the Revell kit - simple and a heavy describes it - but Maisto’s engineers have given their VW a touch of customized ‘oomph’ and this more than makes up for the lack of scale purity. 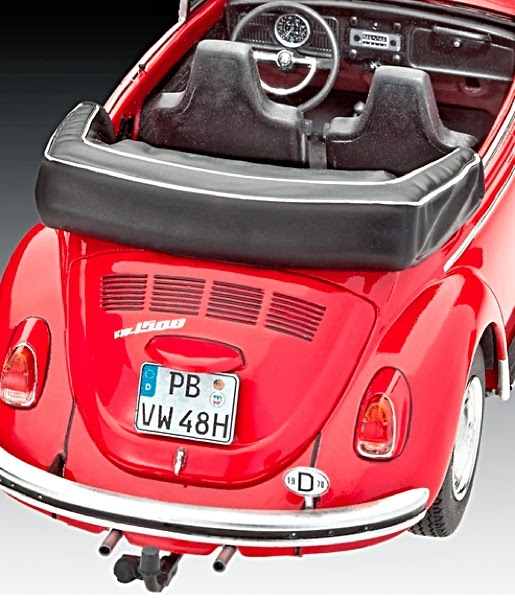 Consider the lowered, chopped roof, the opening doors and panels, the folding seats, the working steering system - you can see what we mean. 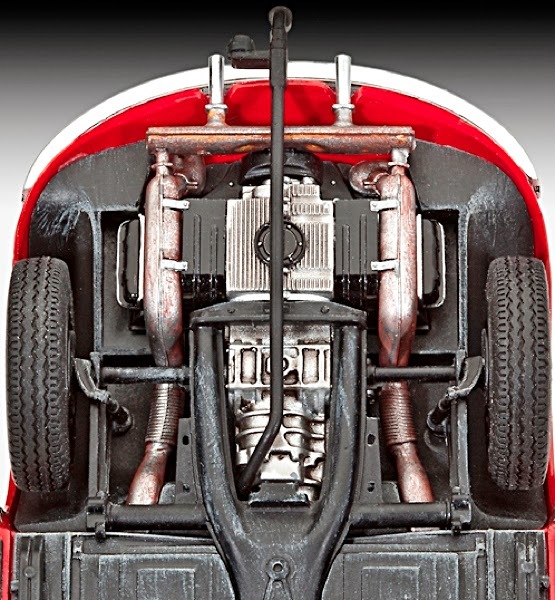 Custom parts include low-profile tyres, chrome rims and engine parts. 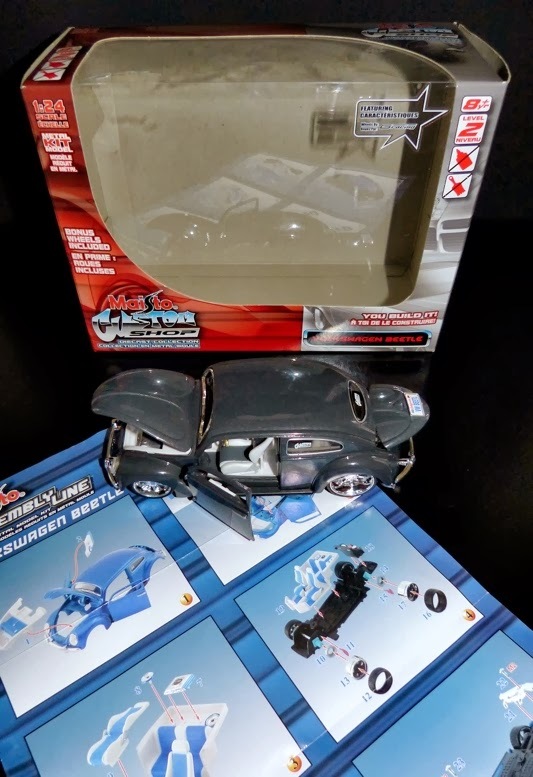 With little effort and perhaps half an hour of your time, you can end up with a tasty-looking machine that looks like it could compete as the pride of a real-world Veedub rally. 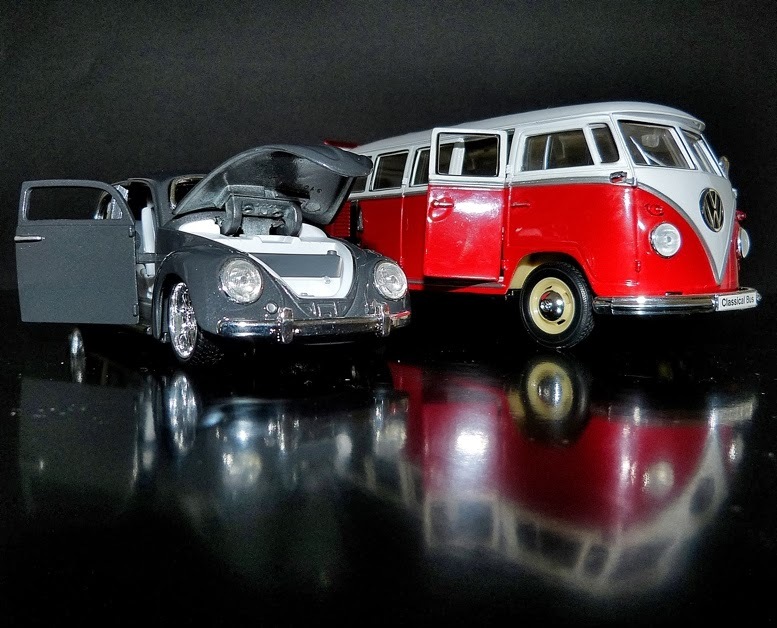 As seen below, the custom Beetle sits nicely next to a same-scale Maisto fully-assembled vehicle, the VW Microbus. 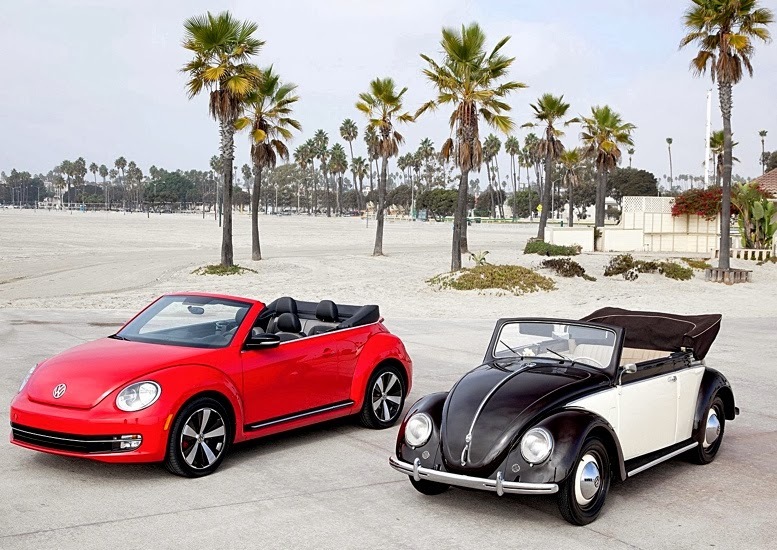 Both Beetles are good kits in their way. 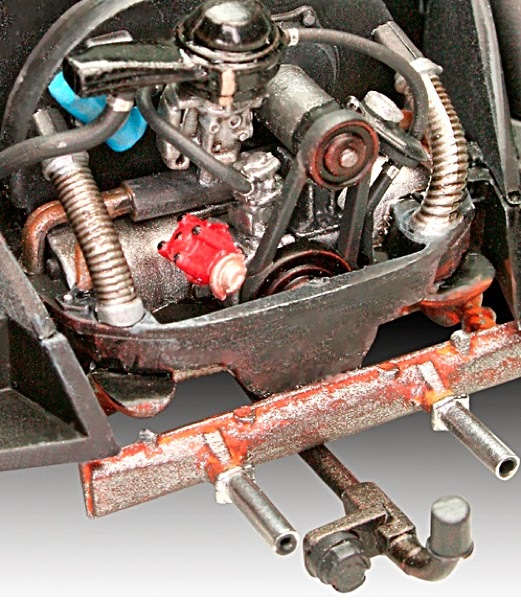 The Revell assembles to make an excellent little scale model, the Maisto quickly slots together to make a slam-style custom show star. Great stuff. Our recommendation? Try one of each! 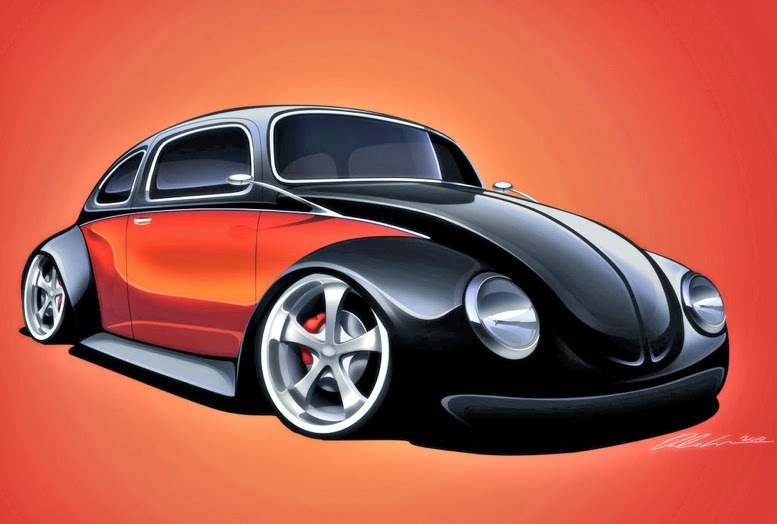 The Volkswagen Type 1 was first developed by Ferdinand Porsche. 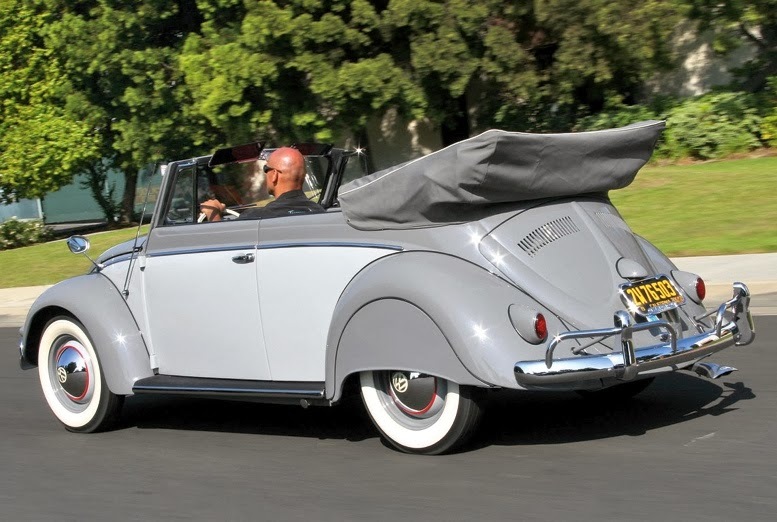 Also known as the Beetle (‘Kafer’ in German), it was first mass-produced at the end of 1945. 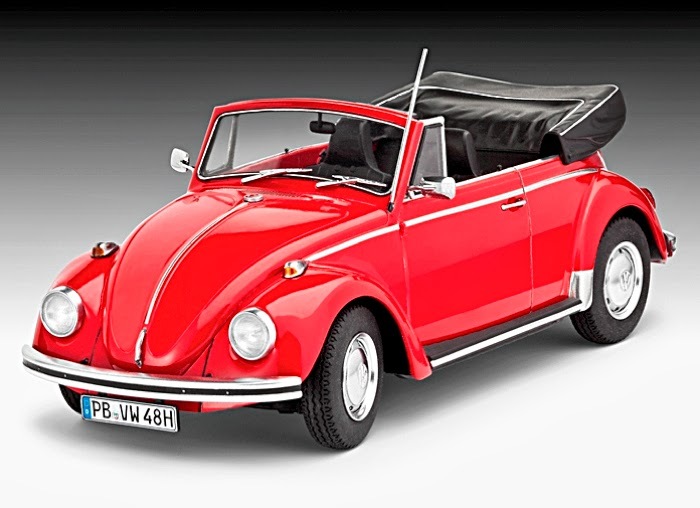 Although the essential design features were retained, Volkswagen continually made improvements to the Beetle. Performance was improved, mainly by installing a more powerful engine. Other improvements included vertical headlamps, better instruments, larger bumpers and a higher top speed of up to 125 km/h (78 mph). 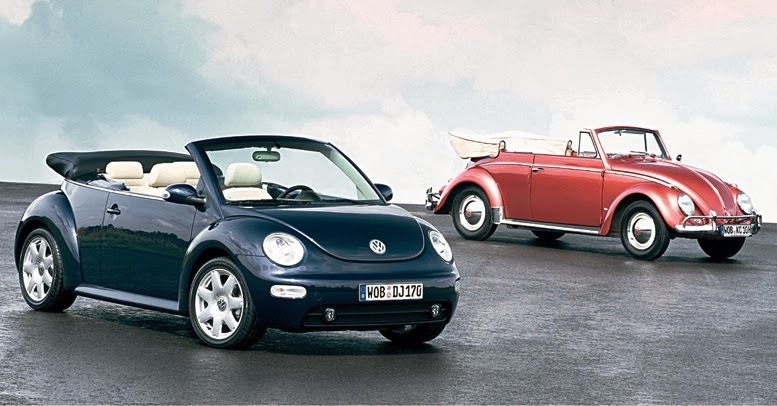 By the time production ended in 2003, more than 21 million Beetles had been produced. In modernized, front-drive form (above left and below) the design continues in production today.